If you’ve been hurt in a car wreck, a slip and fall, or in a similar accident caused by somebody else, you probably have a lot of questions about how to get help. The process of bringing a case to trial may be unfamiliar to people who haven’t been involved in the legal process before. 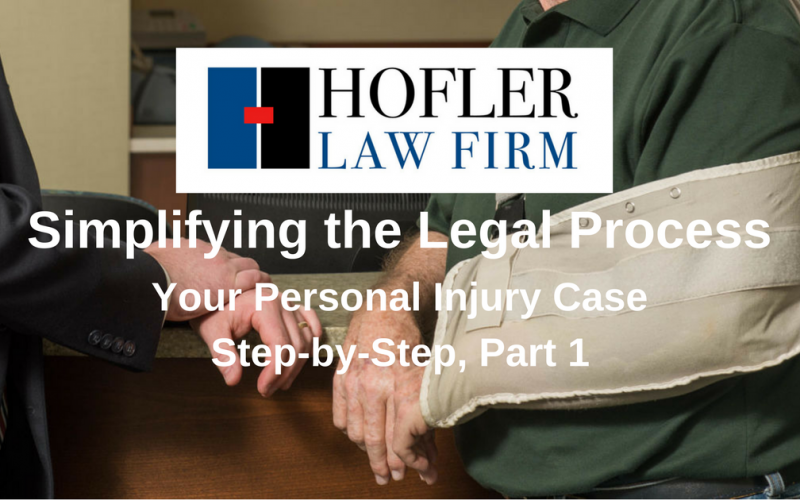 In this series of blog posts, I discuss a standard personal injury case from start to finish. I hope to make the process a little more understandable for non-lawyers. In this post, we will start where many injured people begin – with an insurance company. After a car wreck, a fall at a business, or a similar accident, an insurance company for the person or business responsible for your injuries is often notified of the accident. Once that happens, one of the very first things that takes place is the creation of a claim. Think of a claim as the insurance company’s file on your accident. Each claim is given a unique claim number, which the insurance company uses to refer to the claim from that point on. The claim will then be assigned to an insurance company employee called a claims representative. The claims representative or claims handler is the person who monitors the file on your accident. He or she should regularly report on the status of the claim, including every telephone call, email, or other communication you have with the insurance company. Keep in mind that everything you tell or send the insurance company will be kept in the claims file. Once your claim has been set up, the insurance company will begin investigating the claim. You will likely receive a call or an email from one or more employees of the insurance company. This could include an investigator as well as a claims representative. You will be asked to give either a written or a recorded statement (basically a recorded interview about what happened). DO NOT GIVE A STATEMENT TO THE INSURANCE COMPANY UNTIL YOU SPEAK WITH A LAWYER. You will also likely be asked for a medical authorization so that the insurance company can gather your medical records and bills related to the accident. Once the insurance company has finished its investigation, the claims representative may make you an offer to settle. A typical settlement offer would be an amount of money in exchange for your signature on a document agreeing to never sue or never enforce any judgment against the person or business who caused your accident. If you have received a settlement offer from an insurance company for your personal injury, but you are not sure whether the offer is reasonable, you should contact a lawyer.